Independent Preachers Green, Williams, Mortimer, Gardiner, Sehlbrede, Leaman, Wright, Kiernoff, Warrens, Weavers, Rega, and Tourney. I have found no reference to synagogues or Buddhist centers, but who knows? Hope I haven’t missed any! I have written blogs on several people, but some disappear after the gold rush. 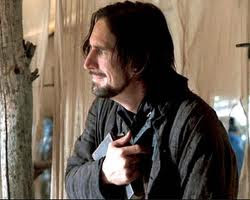 I am reminded of Ray McKinnon’s wonderful portrayal of the real Rev. Henry Smith in the HBO series Deadwood, seen above.